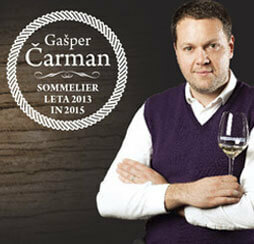 To the taste it comes through as remarkably pure, fine and elegant, with an extremely long mineral finish. The stuff of legend and, as everything mythic, needing time to evolve. The Château Grenouilles estate, superbly situated close to the village of Chablis, produces the rarest of Chablis Grand Cru. Coming from a rigorous selection of old Chardonnay vines in the Grenouilles climat, this truly rare wine, object of the utmost care, possesses an intense, complex nose revealing fresh fruit, delicate floral scents and a hint of spice. To the taste it comes through as remarkably pure, fine and elegant, with an extremely long mineral finish. The stuff of legend and, as everything mythic, needing time to evolve. Chablis, half way between Paris and Beaune, forms the real gateway to Burgundy 's treasure-house of wines. The vineyards, lying on both sides of the River Serein, cover 6,800 hectares (some 17,000 acres) in 20 villages. 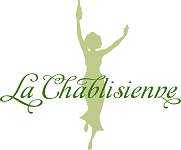 Of the 4,700 hectares in production, La Chablisienne alone represents nearly 25% and produces every one of the Chablis appellations. The production of the whole vineyard reaches 250 000 hectolitres per annum. Chablis is therefore thefirst producer of white wine in Burgundy. The wines are made from a single grape variety, the Chardonnay which finds in the soil of Chablis the matter for its superb fineness. Chablis Les Venerables" 2014, La Chablisienne"
Chablis Mont de Milieu" 1er cru 2015, La Chablisienne"